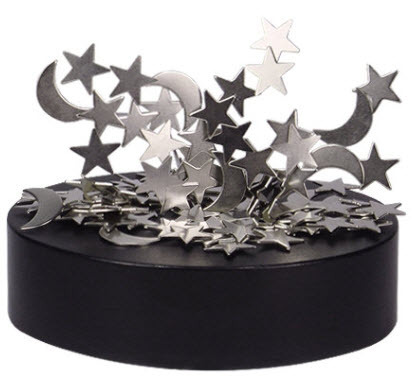 With magnetic stars & moon you can create an infinite number of designs. Playing with a magnetic art is a great way to take a break during a really hectic and busy day. This is a must have for an office worker, student or just about anybody who loves to use their imagination to create things. Magnets can be manipulated into a variety of designs. Playing with a magnetic art is a great way to take a break during a really hectic and busy day.